TQFP adapter32_44 and TQFP adapter44_64 have been tested now and are available in our webshop now. We expect within 14 days due to production- and delivery time. Both of them have a dual layout for your convenience and have a 0.8mm pitch. These cover most of the MegaAVR's and Xmega's. 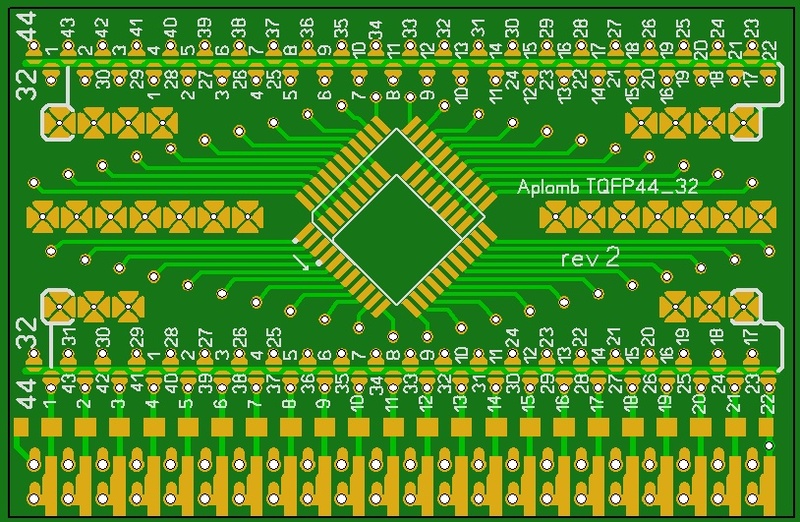 The 0.5mm pitch 48 and 64 pin TQFP adapters (also dual layout) for f.i. the 32 bit Atmel microcontrollers are being manufactured right now and when approved, those will be available in our webshop too. The BreadBoardStrips needed for using these adapters on a breadboard run in parallel (timewise) with the TQFP adapters.